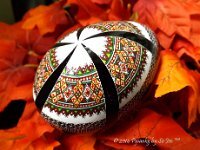 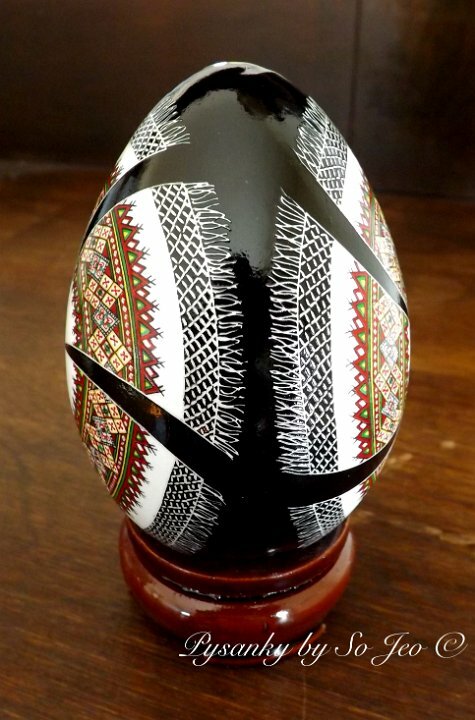 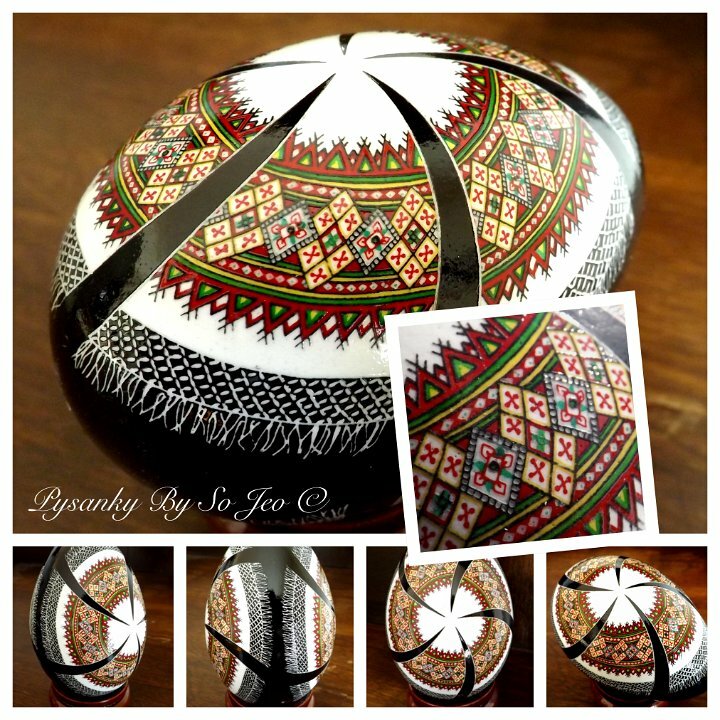 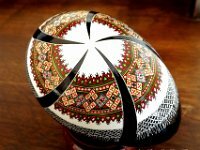 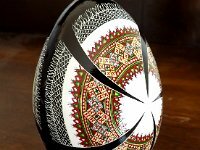 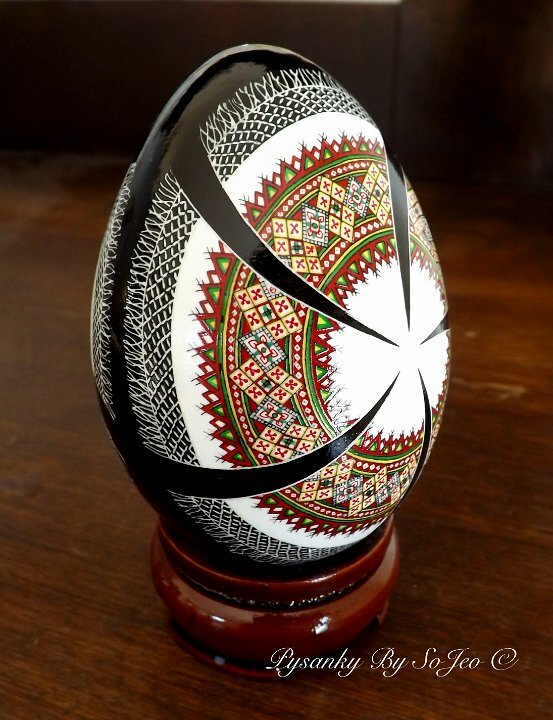 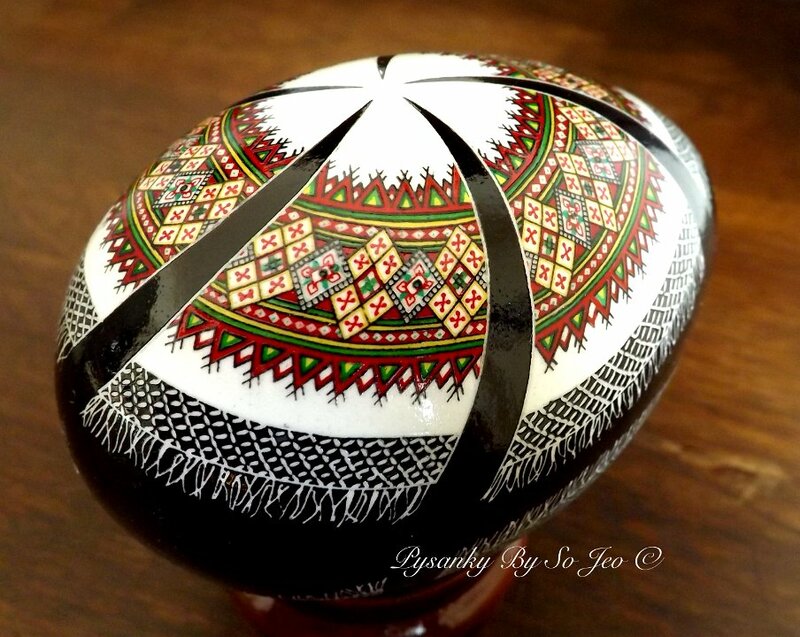 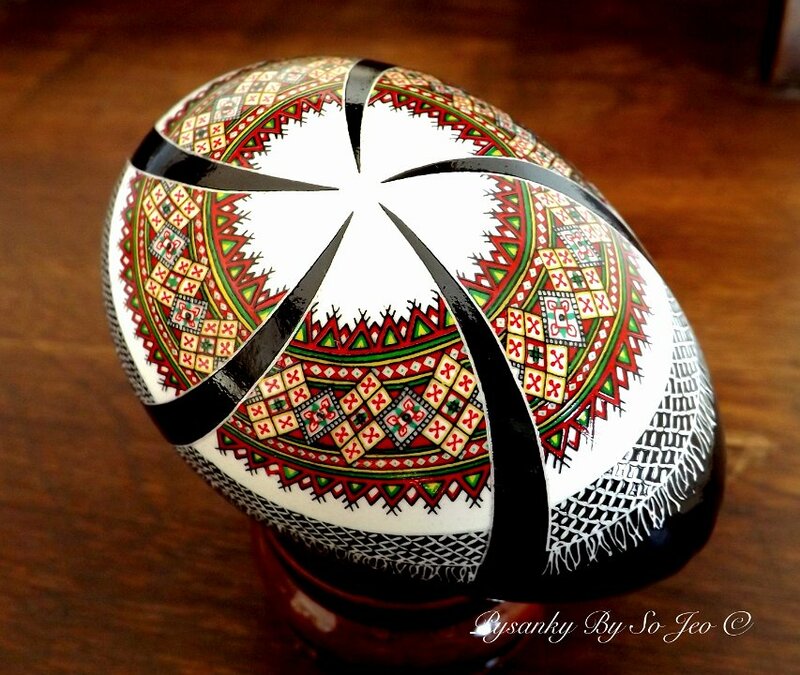 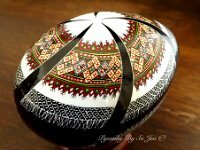 This beautiful Rushnyk design originally came from another artist Mary Trach-Holadyk. 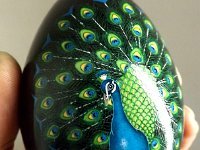 Her original art cards are produced from watercolour paintings and they are just wonderful to behold! 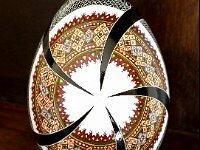 Her website is http://www.UkrainianCards.com, please go see them and check them out! 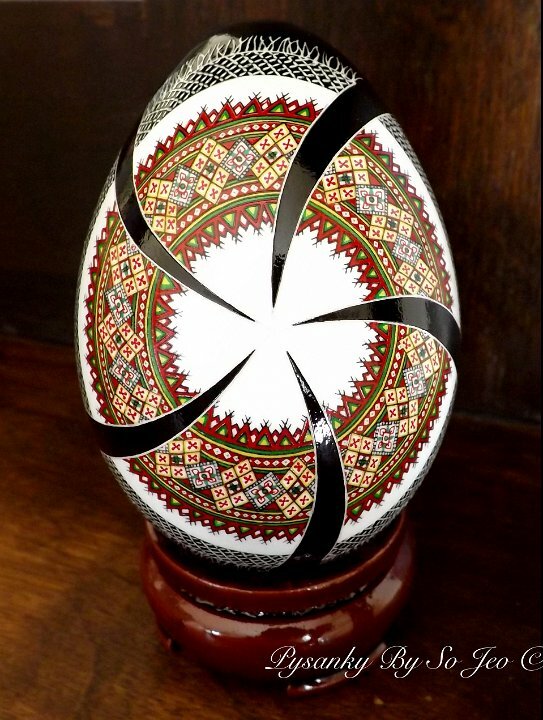 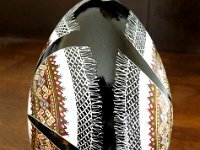 This egg was ordered as a gift to her from her loving daughter and I was very honoured to be the one chosen to create it. 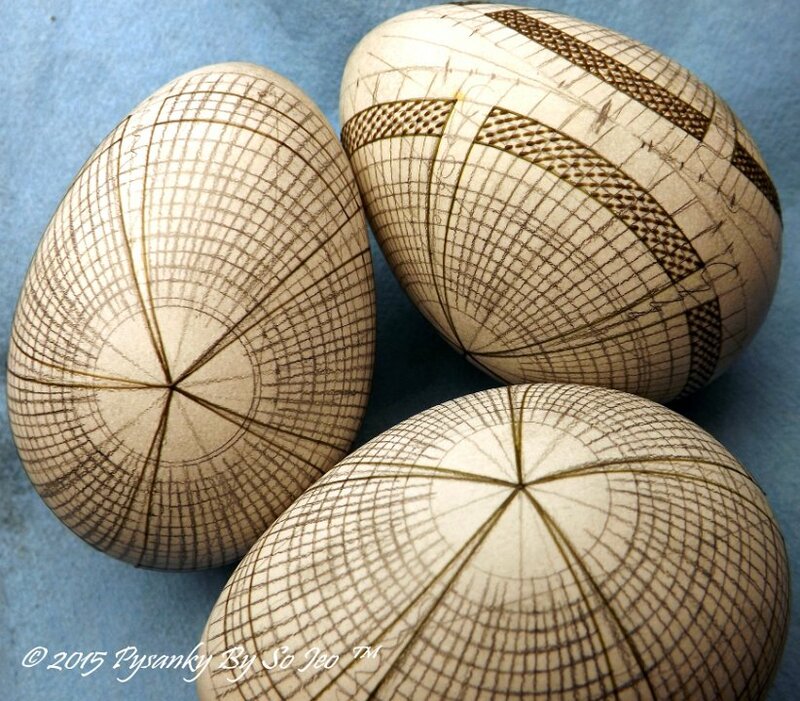 I am also very thankful that she has generously allowed me to use this design on future eggs. 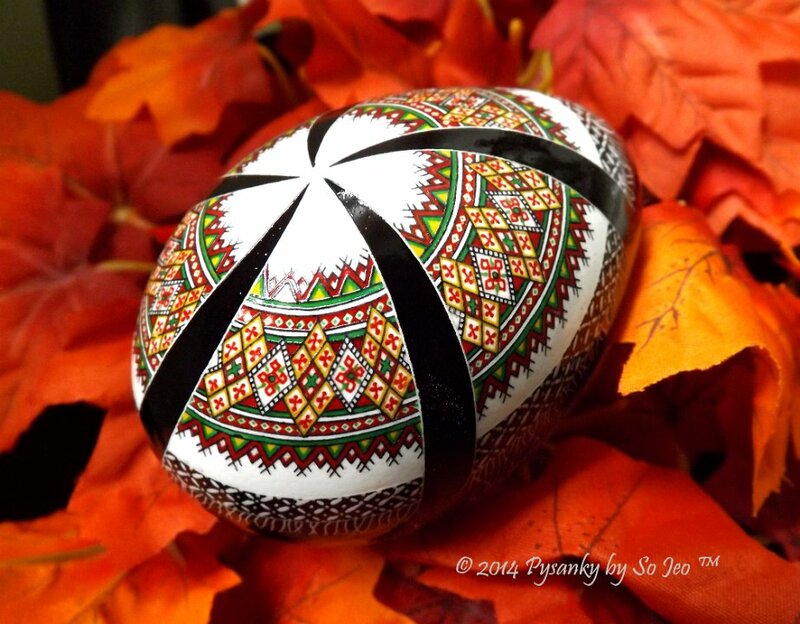 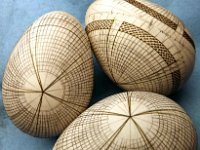 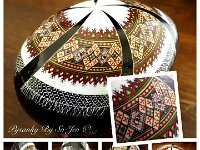 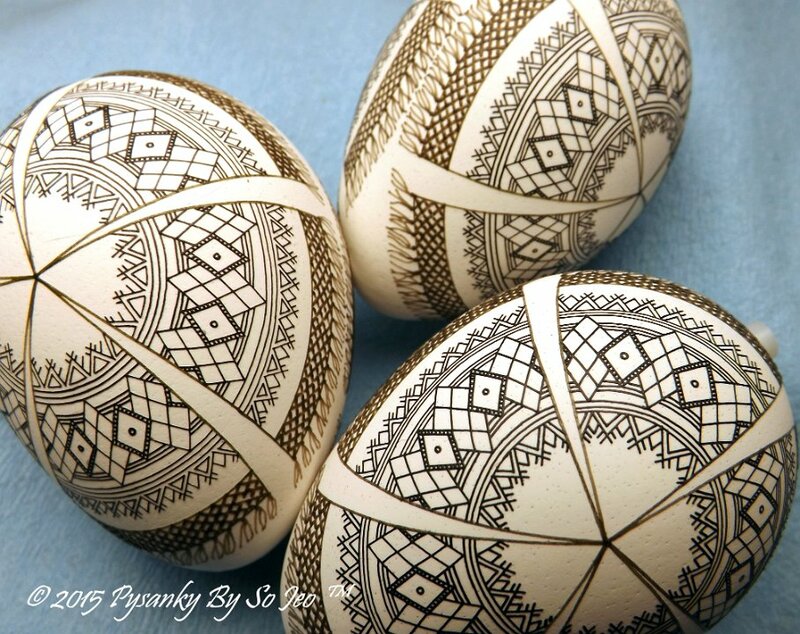 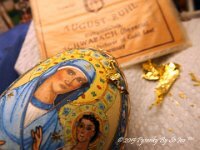 Photos, Designs and Videos Copyright 2007-2016 Pysanky by So Jeo © All rights reserved.